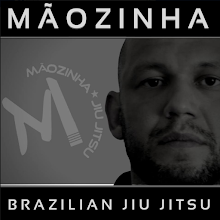 Fighting at night greatly limits what a person can do in a combat situation. It's awfully challenging to fight hand to hand if you are in any kind of group if you can't see who are your friends and who are your enemies. And with missile weapons, other than by blind luck, it's impossible to hit a target you cannot see. Ancient and Medieval armies for these reasons usually avoided combat at night, but there are exceptions. For example, Judges 7:16-25 records Gideon taking advantage of the possible confusion night can cause. He and his 300 infiltrated the camp of the Midianites, blew trumpets, broke pitchers, and shouted at the top of their lungs, which caused their enemies to attack one another in the confusion that ensued, which delivered the victory to Gideon. For different reasons, the Roman army surrounded by Germans at the Battle of Teutoburg Forest fought for something like 72 hours straight, including night action twice (they lost this battle to the Germanic tribes). History affords other examples of night fighting, but not many. In Ancient and Medieval times fighting at night meant either using torches (or what other limited artificial light people of those eras had) or it meant letting the eyes adjust to the light of the moon. The chief disadvantage of torches or lamps is they light up only a very small area. They are bright enough to ruin a person's night vision and illuminate the person holding the lamp or torch, so someone hiding in the darkness can easily identify the person holding that limited form of light. But they do little to provide useful light that will identify an enemy. Not to mention the act of holding a torch or lamp limits your ability to use weapons. 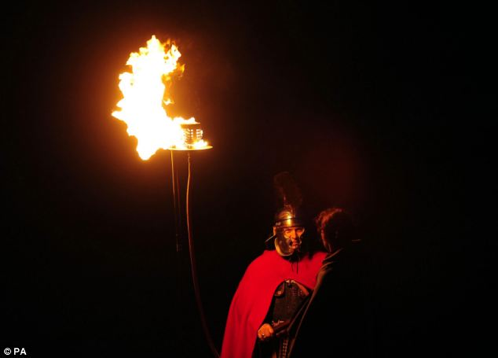 The Romans at Teutoburg are reported to have used torches to help them build fortifications at night to help resist the German tribes by day. Building something at night with torches makes sense. They provide enough light to perform work with your hands. But otherwise, fighting with a torch or lamp is something ancient and medieval warriors went to great lengths to avoid. For most of them, war was fought from the pre-dawn twilight until the darkness of night. Using torches in combat would only be done in some sort of dire emergency...such as against enemies with superhuman night vision. Though on occasion, some warriors in ancient times fought in the dead of night by the light of the moon. The human eye can adjust to darkness to the degree that it is actually possible to fight by the light of a full moon--though identifying friend or foe farther away than perhaps 30 yards (or meters) is impossible. You can see shapes moving further out than that, but can't identify who they are very well. Another thing most people don't realize is it generally takes a full hour in darkness for the human eye to adjust to night as much as it will adjust. And any exposure to any light other than light in a deep red color will mess up that night vision, effectively resetting the time required for full night vision to set in. Starting about World War I, artificial light dominated the battlefield. Artificial light in an urban environment via gas or arc lights existed prior to WWI, of course. Note that fighting by artificial light, still a factor in cities in the modern age, gives the advantage to people who know exactly where the street lights cover and where they do not. Robbers infamously lurked around dark zones nearby light in the Victorian Era, which passersby would unawares step into--leaving them blinded, with the lurker in the darkness able to see. And attack. Combat under such light came and went in surges. 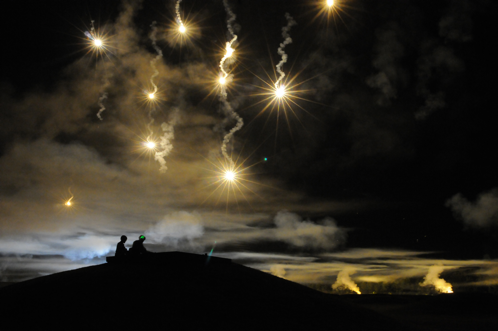 Troops were taught to keep one eye closed as the flares went up so as to preserve at least some night vision when they went dark. With the flares up, troops would surge forward and attack. In the darkness, after the flares burn out, troops would consolidate ground and wait for the next burst of light. Tracer rounds, bullets that light up and glow as they fly across the sky, were another invention of this era and allow you to at least know where your bullets are going at night (even if you can't tell where the enemy is very well). Artillery flares and other artificial lights like searchlights dominated the world of night fighting from WWI through the Vietnam Era. They made 24 hour combat actions possible, but not all that desirable. Most combat still occurred during daylight. OPERATION DESERT STORM saw the first massive use of night vision, though it had been in development for some time before that. Night vision devices are something all modern militaries use. Some of these are based on increasing the amount of background light, while others allow infrared rays to be seen, while some combine both features. Infrared, by the way, is how heat from a warm mammal radiates away from its body. So a person can be visible in the dark based on body heat alone. Night vision devices in the future may manage to be in full color via advanced computer simulation and preserve three dimensional vision. But current night vision devices present the world in shades of just one color, usually green. They also tend to flatten out what a person is looking at, which causes almost all sense of three dimensions to be lost. It takes a lot of practice to effectively use night vision goggles well, especially when performing complex actions like flying a helicopter. 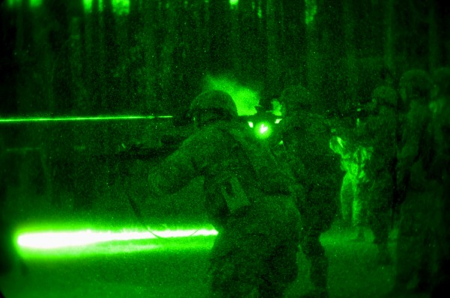 The use of night vision transforms the night, making it the preferred time to fight an enemy. For those who have the technology to see at night, of course. 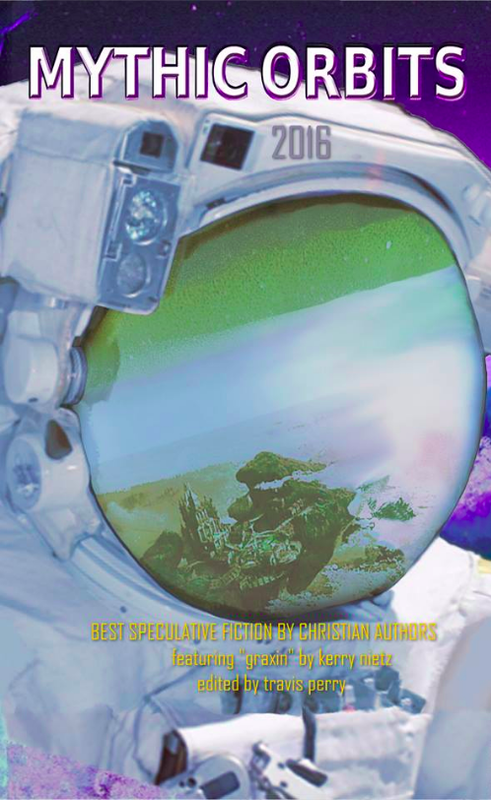 Speculative Fiction writers should feel free to experiment with the limitations night brings. Obviously magical spells in fantasy stories could simulate the effects of technology, either by lighting up the night or by enabling those who cannot otherwise see to have clear vision. Other races, either alien or demi-human, may have eyes better adapted to the dark, so they can see at night with no special adjustments. Aliens who could see in radar-wave radiation, or who use sonar (echolocation), perhaps would not even have the same definition of night that we have. Travis Perry is an Army Reserve officer who served as a medical specialist in Operation Desert Storm, a training adviser/Artillery Officer in Iraq, and a Civil Affairs Officer in Afghanistan and Djibouti, Africa. He has trained by the lights of the moon in Africa and the with the high-tech night vision devices employed by the United States Army. He writes a wide variety of (mostly) short stories in speculative fiction, including science fiction, fantasy, and horror and is the force behind his small publishing company, Bear Publications, which produces original short story anthologies--most recent, Mythic Orbits 2016. Choose the photo for more information. Good article. I hadn't thought about the night flares for my story, but I may need to utilize them. I have an alien species(Elbas) that's got cat-like night vision as well as echolocation, so their favorite tactic is to attack the enemy at night, and preferably in bad weather, then retreat into their tunnels before the enemy can regroup. The enemy doesn't have natural night vision, though their mounts are able to see in the dark. During the day, the enemy has the advantage since they've got a cavalry, as well as having better long range vision and better technology, but the Elbas rule the night.